The Kruger Brothers have just been signed for the 2014 Bluegrass Conference. Days after organisers announced the lineup, the event sold out. This event has become the most prestigious bluegrass event in Australia. International names such as Ross Nickerson, Alan Munde, Jens Kruger, along with Australian artists of note, Ian Simpson, Martin Louis and Peter Sommerville have also been a part of the teaching faculty. Conference convenor and event organiser Peter Nahuysen has advised that they are currently negotiating with surrounding accommodation houses in Maleny in an attempt to provide additional capacity for the conference. We will have more details soon. 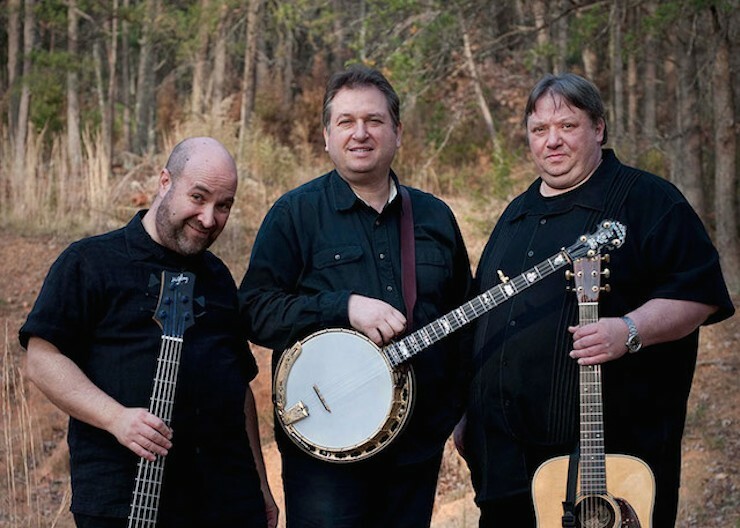 Since a formal introduction to American audiences in 1997, the Kruger Brothers’ remarkable facility with their instruments and unique take on the American Songbook have made them a fixture within the world of acoustic music. Although initially staying fairly close to a traditional repertoire, the group later turned to song writing and composition in order to draw more closely from their personal experiences. The result is a catalog of songs distinguished by rich detail and an insight into the delicacy and complexity of everyday life. The honesty of their writing has since become a hallmark of the trio’s work. Here’s a clip of the Kruger Brothers playing “Forever and a Day”. I was horribly dissapointed to have not received prior notice of the upcoming 2014 conference as I was a participant in the 2013 function. The Bluegrass Blog indicates a full house for the 2014 event,can that be true? I am willing to travel if there are cancellations or availabilities.